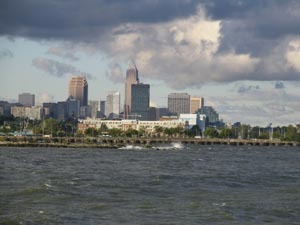 Our new Cleveland Lakefront Nature Preserve website page is here. Cleveland Lakefront Nature Preserve Survey Calendar and results from the latest surveys, Click Here. Click to see award letter from NAS. Click to see grant proposal. 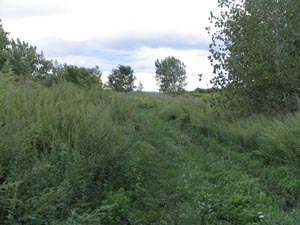 This summer, the Kirtland Bird Club and Western Cuyahoga Audubon Society will commence birding surveys at the Cleveland Lakefront Nature Preserve (formerly known as Dike 14). 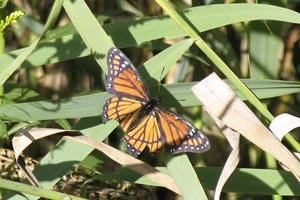 This citizen science project will occur year-round with a greater focus during migration season. It is expected to last for at least 10 years. The Survey will consist of 16 points along the trail which runs through CNLP. It will take a total of two hours to walk the whole trail and hit all points. Most groups will not hit all the points, and will use a far shorter amount of time to conduct their part of the survey. This is a wonderful opportunity to conduct a significantly worthwhile citizen science project, aid in the conservation effort, and have the perfect excuse to make frequent birding visits to this beautiful park. To see the Cleveland Lakefront Nature Preserve Survey Calendar and results from the latest surveys, Click Here. 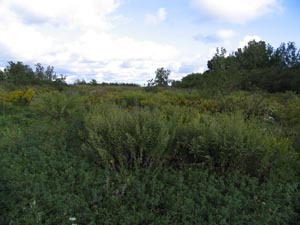 This is a joint project conducted by Western Cuyahoga Audubon Society and Kirtland Bird Club. This summer (2011) preparations are being made to relocate the entrance to the Cleveland Lakefront Nature Preserve behind the ODNR State Park office. Photos (click here) are from a new wood-chip entrance trail being prepared from the pine trees near the ODNR State Park office parking lot to the new site entrance gate. A bobcat created the trail and we are waiting for delivery of wood chips. Thanks to the Port Authority, ODNR, Metroparks, the City of Cleveland, Collaborative members and many others for your support! A new self-registration entrance kiosk near the new site entrance is being created by a local scout as his Eagle Scout Leadership Service Project. Dike 14 Environmental Education Collaborative website has the latest news. Click here. The Cleveland Lakefront Nature Preserve Environmental Education Collaborative was formed by local organizations that recognize the unique opportunity for Cleveland Lakefront Nature Preserve-centered educational resources. 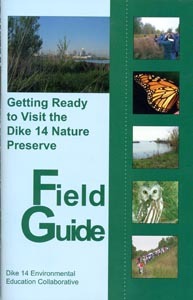 The Dike 14 Environmental Education Collaborative is composed of Cleveland Botanical Garden, Cleveland Metroparks, Outdoor Education, Cleveland Museum of Natural History, Cuyahoga Soil and Water Conservation District, Cuyahoga Valley National Park Association, Earth Day Coalition, Lake Erie Nature and Science Center, The Nature Center at Shaker Lakes and Western Cuyahoga Audubon Society. The Collaborative is dedicated to providing exemplary environmental education for students, teachers, families and the greater community, and promoting environmental stewardship of Dike 14 as a unique place for people and nature on Cleveland's Lakefront. Dike 14 was built in 1977-1978 as a Confined Disposal Facility (CDF) and filled with dredged sediments from the Cuyahoga River until 2003. As the new landmass built up Dike 14 became vegetated with plants and trees, attracting birds and other wildlife. 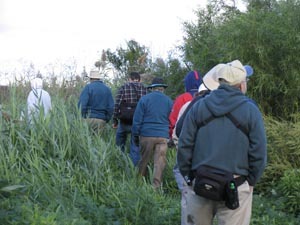 Cleveland area birders and citizen scientists began bird surveys. Over 280 species of birds have been found on Dike 14 since it was built. 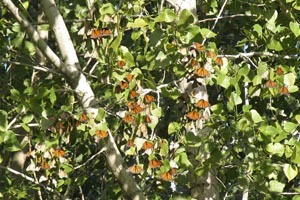 Dike 14 is also home to over 29 species of butterflies, 26 native plant species, 16 mammals, 9 native tree and shrub and 2 reptiles. Western Cuyahoga Audubon Society joined this Collaborative in the Spring of 2007.
necessary. Please check our Field trip page. to enter the Cleveland Lakefront Nature Preserve. The Dike 14 Nature Preserve Discovery Pack was designed and organized by members of the Dike 14 Environmental Educational Collaborative for use on the Dike 14 Nature Preserve or in the classroom. 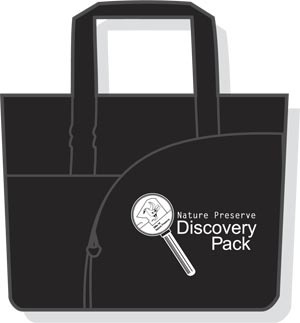 The Discovery Packs are available for loan to teachers, classrooms, libraries, etc. This Discovery Pack contain 9 instructional kits.